At Blue Frost Heating & Cooling, our main priority is always our customers’ safety. We go above and beyond to make sure that we are available at all times so that we can help our customers when they need us the most. Our commitment to service is what sets us apart from other HVAC contractors in the Wheaton and Chicagoland areas. We have proudly been serving the Chicagoland area since 1973, giving us all of the necessary experience to handle any situation thrown our way. Customers return to us season after season because we provide a level of customer satisfaction that simply cannot be beat! When it comes to HVAC services, the equipment that is used makes all of the difference in reliability and efficiency. You don’t want to pay more money than you have to in order to stay comfortable in your home or place of business. We rely on Trane furnaces and air conditioners, as they are some of the best products in the industry. We only offer our customers the best value for their money! Heating and cooling systems are one of the most important aspects of your home. Having a comfortable environment in which you live and work makes all of the difference. During the hot summer months, it is important that you have a functioning and efficient air conditioning system. We can evaluate your current air conditioner to see whether or not it needs any repairs or if it needs to be replaced altogether. When the weather in Wheaton turns cold, it is essential that your furnace and heater is working without any issues. Don’t settle for indoor air quality that is less than the best. After all, this is what you and your family is inhaling on a daily basis. We offer both air cleaners and air purifiers to help make the air in your home as clean as possible. Air purifiers remove particles from cooking odors such as gases while air cleaners remove solid particles from the air. Beyond air purifiers and cleaners, we also offer duct cleaning, humidifiers, dehumidifiers and Atticat expanding blown-in insulation in the Wheaton area. 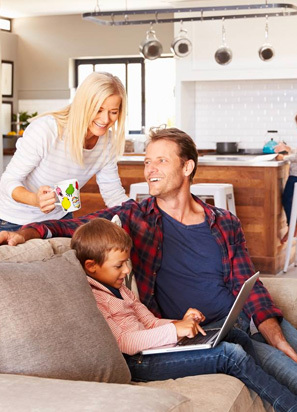 Quality heating and cooling services should be attainable for everyone, which is why we provide financing options along with competitive market prices. Browse our site and find the financing option that is best for you, and feel free to contact us if you have any questions!